On sale now at your Naperville and Aurora, IL Chevrolet dealership, the 2017 Chevrolet Malibu is a stylish midsize sedan that offers a refined driving experience. Car and Driver says, “The interior has more rear-seat legroom than before, while the materials and overall design lend an upscale look.” You can find the 2017 Chevrolet Malibu LT for sale at Chevrolet of Naperville powered by a 1.5L turbocharged four-cylinder engine paired with a six-speed automatic transmission. The LT trim is loaded with convenience features such as heated mirrors, an eight-way power driver seat, rear climate vents, Bluetooth phone and audio connectivity, 4G LTE connectivity with mobile Wi-Fi, satellite radio, and the MyLink infotainment system with a 7-inch touchscreen that includes smartphone integration. Contact Chevrolet of Naperville to schedule your test drive! Finance the 2017 Chevy Malibu LT Today! Chevrolet of Naperville offers plenty of options, including the Chevy Malibu LT. Visit our showroom to familiarize yourself with your trim, financing, and lease options. Make sure you experience all the Malibu LT offers with a test drive. Chevrolet of Naperville has been helping Aurora drivers get high-quality vehicles for over forty-five years, and we are ready to help you with your next vehicle purchase. You can rely on our factory-trained and certified technicians to maintain all your Chevy service needs as well. 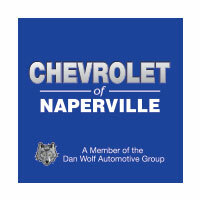 You can shop with confidence at Chevrolet of Naperville.